Great property and friendly staff submitted by Cherie J. - Feb 01, 2013 |Recommended: YesQuite place to reside. Private, Quiet, Clean.submitted by Jose H. - Jan 01, 2013 |Recommended: YesThe apartments are very well constructed, nice amenities, and at a very good location. Staff has always been helpful and courteous. Staff make complex run smoothly! Organized!submitted by Robin L. - Oct 18, 2012 |Recommended: YesIt is a great location and the quality of the people living here make this a quiet pocket- perfect for peaceful living. The staff are very helpful and eager to get the job done. A safe, comfortable, friendly complex that I would recommend to others. submitted by Julie S. - Jul 26, 2012 |Recommended: YesI really like that I have parking that connects directly to my unit. The pools and shared areas are always clean, and I am proud to live there. Curteous staff, nice apartments, great locationsubmitted by Katherine P. - Jul 03, 2012 |Recommended: YesI love the apartments, the staff is always very helpful, and it's just a great place to live. Best Apartment Near the Galleria or Addisonsubmitted by Sukanya D. - Apr 14, 2012 |Recommended: YesHands down, It's one of the best places to live in Dallas. The management (apartment and corporate) treat the residents with respect. The grounds are well maintained. Most of the apartments have been upgraded with newer amenities (new appliances, etc.). Pet owners generally respect the property and clean up after their pets. 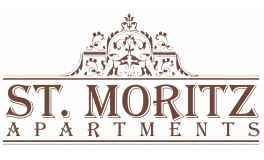 While the rent isn't as low as the surrounding properties, St. Moritz represents one of the best value for money in the surrounding area. Simply, it's the best apartment for adult professionals who work near the Galleria or Addison . I love the Apt. I love the location I don't like the noise from the upstairssubmitted by Michael D. - Dec 22, 2011 |Recommended: YesIt is a perfect place to live! Comfortable, clean, new looking, terrible parkingsubmitted by Patrick V. - Oct 01, 2011 |Recommended: YesIt's a great place to live, just don't ever expect to be able to park at 5:30 or late at night, and don't even think about having friends over unless you want to pick them up from the Walmart parking lot. The pool and hot tub are nice, garbage pickup is fantastic. All the maintenance people are wonderful. It's an excellent luxury apartments to live.submitted by John G. - Oct 01, 2011 |Recommended: YesIt it's one of the best plces to live on the panet. No aggressive breeds with weight limit up to 100 lbs. Two pets per apartment home.